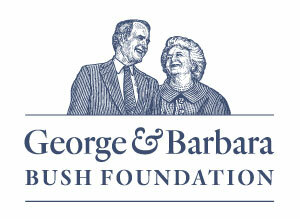 COLLEGE STATION, TX – The George H. W. Bush Presidential Library Foundation today announced that, consistent with the wishes of President and Mrs. Bush and their family, its Board of Directors has approved changing the name of the organization to become the George and Barbara Bush Foundation. 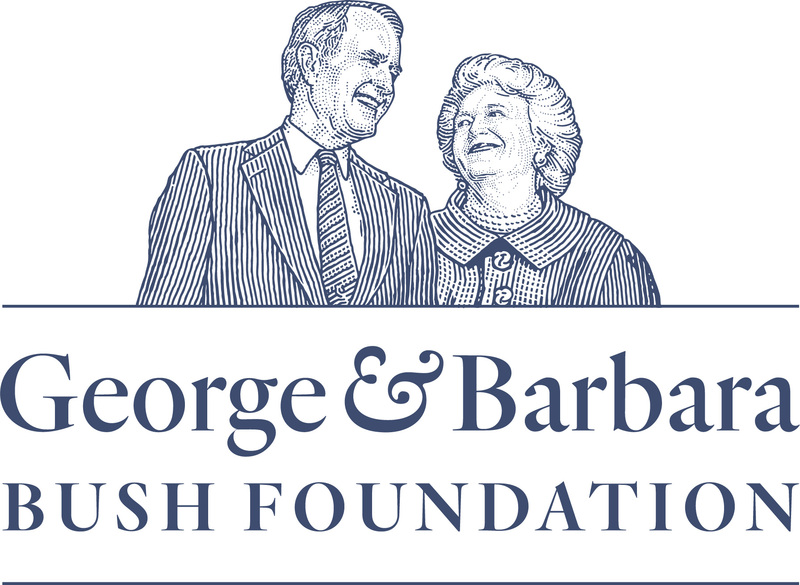 The name change is designed to reflect the Foundation’s intention to support all areas of George and Barbara Bush’s public service legacy – including not only the George H.W. Bush Presidential Library and Museum and the Bush School of Government and Public Service at Texas A&M University, but also the Barbara Bush Foundation for Family Literacy, the Barbara Bush Houston Literacy Foundation and Points of Light. The Foundation also announced it has added three new board members: the Bushes’ sons Neil and Marvin Bush, their daughter Doro Bush Koch, and President Bush’s post White House chief of staff Jean Becker. Former Governor Jeb Bush will continue to serve as chairman of the Board of Trustees, and the Foundation will continue to be headquartered at the Bush Presidential Center in College Station, where it enjoys a critically important partnership with Texas A&M University. Barbara Bush Foundation for Family Literacy: The Barbara Bush Foundation for Family Literacy, a public charity, is the nation’s leading advocate for family literacy. The Foundation was established by former first lady Barbara Bush in 1989 and has raised over $110 million to support family literacy programs in all 50 states and the District of Columbia. To learn more, please go to www.BarbaraBush.org. Points of Light: Founded in 1990 by President Bush and based in Atlanta, Points of Light is the world’s largest organization dedicated to volunteer service. The organization today is a global community with affiliates in 250 cities in 37 countries and partnerships with thousands of nonprofits and corporations; together they engage five million volunteers in 20 million hours of service each year. For more information, go to www.pointsoflight.org. For more information, please go to www.GeorgeAndBarbaraBush.org.